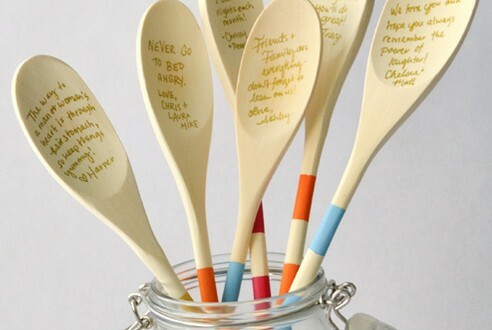 Let guests sign or share some words of wisdom on wooden spoons as guestbook for your wedding! Follow the tutorial on the source to create this idea. See a tutorial for painting the spoon handles with a blue-ombre style shade collection.